FULTON, NY – Betty J. Beeles, 81, formerly of Fulton, died peacefully at her home in Jewett City, Conn., on Wednesday April 3, 2013. She was born to the late John and Jean (Williams) Kinsman in St. Thomas, Ontario, Canada, and she has been a resident of Fulton for most of her life until moving to Connecticut five years ago to be closer to her son. 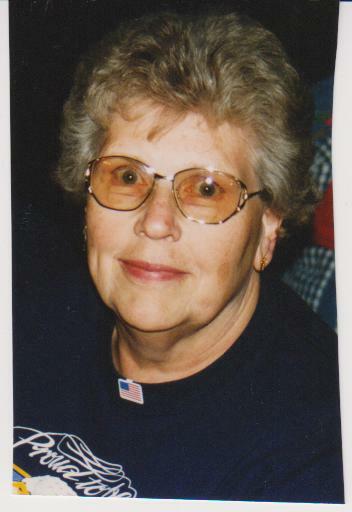 Mrs. Beeles was a life member of the Fulton VFW Post #569 Ladies Auxiliary and VFW Cooties Ladies Auxiliary. She enjoyed traveling and camping. Mrs. Beeles was predeceased by her husband, Burdett Beeles, in 2010; son, Barry Beeles, in 2007; and siblings Harold Kinsman, Audrey Jenks and Anna Mae Conn.
She is survived by her son, Bruce (Deborah) Beeles of Connecticut; daughter-in-law Beth Beeles; brother, Russell Kinsman of Hannibal; sister, Doris Ives of Volney; grandchildren, Jason, Jasmine and Khia; great-grandchildren, Blake and Nadia; and several nieces and nephews. Funeral services will be held 10:30 a.m. Monday at the Sugar Funeral Home, 224 W. Second St. S., Fulton, with Rev. Moritz Fuchs officiating. Burial will be held at Fairdale Cemetery, Hannibal. Calling hours will be conducted 9 to 10:30 a.m. Monday at the Sugar Funeral Home.